After years spent fighting in the Civil War, Wyatt hungers for a peaceful, quiet place to live. To the townsfolk, his memories of the walking dead are just stories. 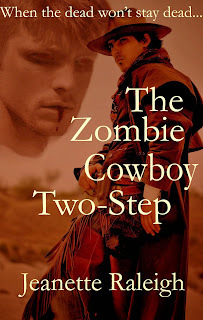 But after a gang robs the stage coach, Wyatt knows...the zombies have returned. Wyatt is on the trail of the Clayton gang whose attack left the stage coach driver in shock mumbling about red eyes. When a boy goes missing in the same area, the townsfolk fear the worst. There is more to fear, and soon they will be tested in the most horrific way. It will take all of Wyatt's courage to stop the evil spreading through his town. Need something to keep you occupied until the new season of The Walking Dead hits the air? Love westerns? Then you're in for a real treat. 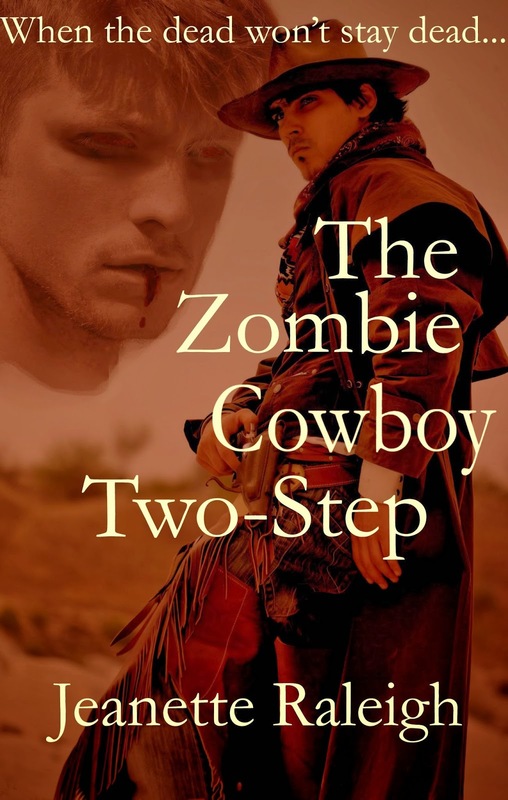 The Zombie Cowboy Two-Step doesn't mess around. From the very beginning, you get the chill of dread and terror that only zombies can bring. 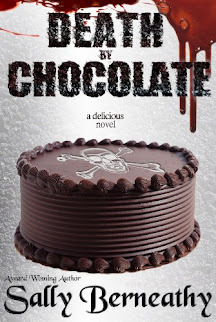 Jeanette Raleigh does an amazing job at crafting a unique zombie tale that is sure to keep you on the edge of your seat. I highly, highly recommend this book to anyone that loves zombies.